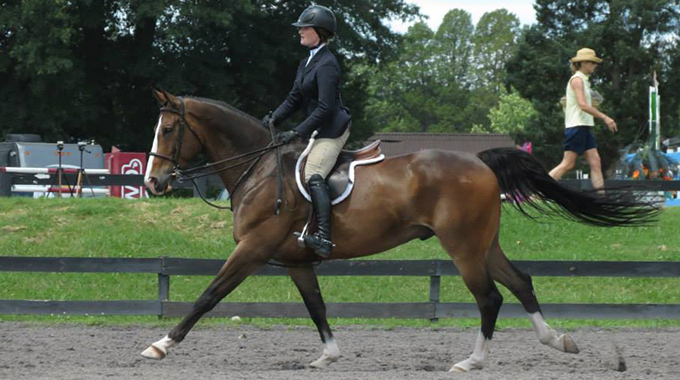 Could you suggest some exercises to combat one-sidedness in riders. Apparently, I ride with too much left leg and left hand, though I am a right handed person. Well, a couple things come to mind. 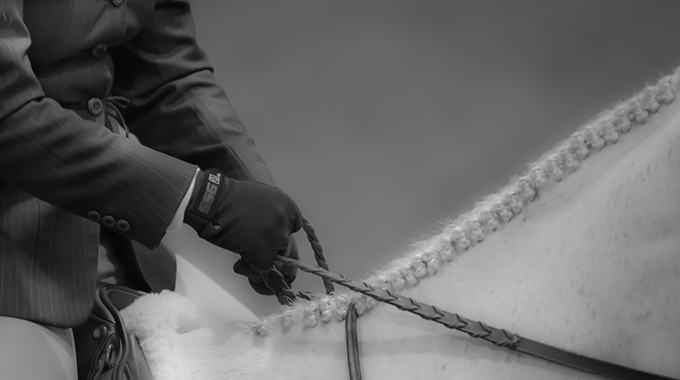 Try holding your left rein between your thumb and first finger, known as a driving rein. It will lighten up your contact on the left rein considerably. 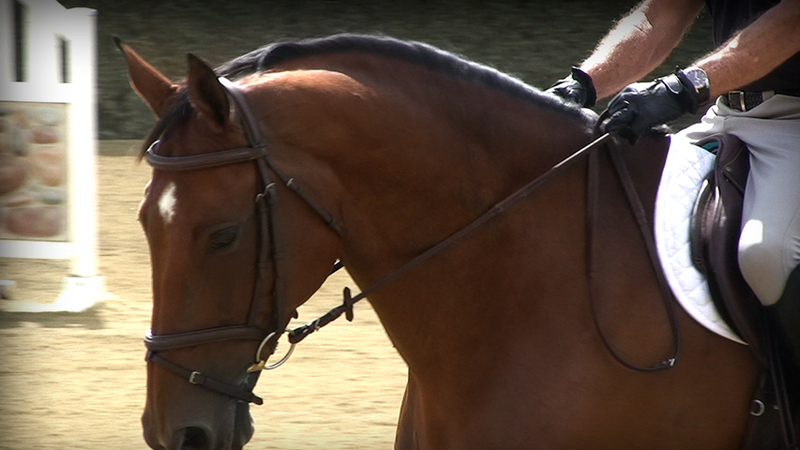 Also ride with the reins in your right hand only (bridge reins). You can turn with neck reins. 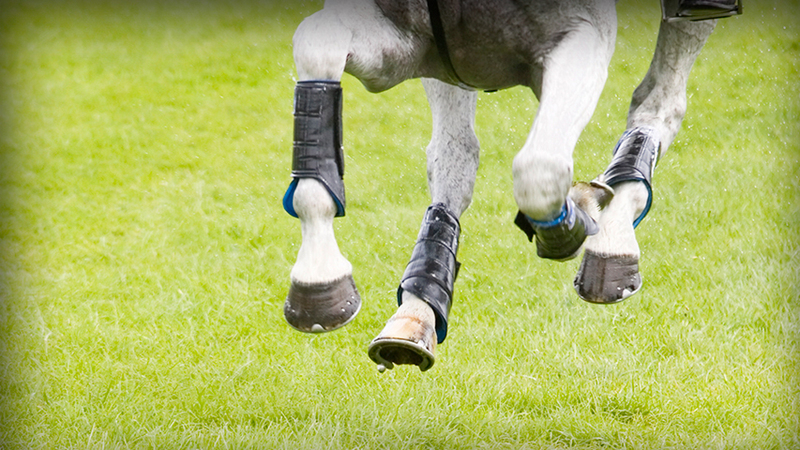 If you wear spurs and your left spur is affecting the horse, only wear one on your right boot. 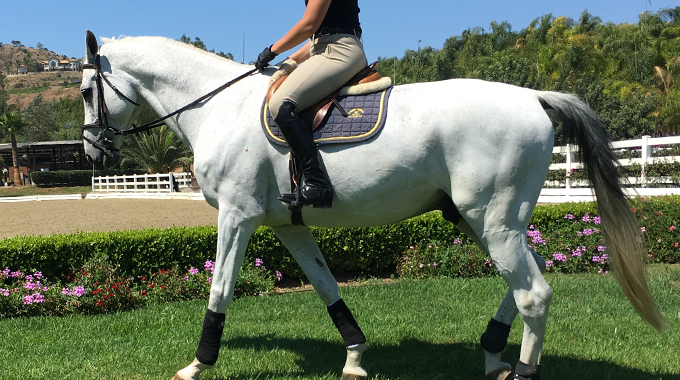 If it does not affect the horse, then only wear it on your left leg to encourage your right leg to work harder. I suggest trying some balance exercises. The simplest and easiest one to add into your daily life, is to stand on one foot then the other while brushing your teeth. If you really want to challenge yourself, try switching hands too. So for example, you’d be standing on your right leg and brushing your teeth with your left hand. This will help you to see where your balance and your mind-body connection are weak and need strengthening. I also like step-ups for increasing strength and balance of each leg. Choose something stable to step up onto. The height can increase as you get better at the exercise. Hold the other leg up in a 90 degree position (knee up). Do sets of 10 on each leg, up/down, up/down. You’ll quickly find that one leg is much stronger and significantly more stable. Once you get really proficient at it you can add weights to this exercise to increase the challenge. I’m going to assume that if you’re riding with too much left leg and too much left hand, that this problem exists mostly (if not exclusively) when you’re tracking left. Another exercise that you can do, which is much more about your mind than anything else, is to every so often ride a few steps as if you’re tracking right, and visa versa when tracking the opposite direction. I find this really helps me stay connected to what my horse is doing and what I’m doing each step of my ride. 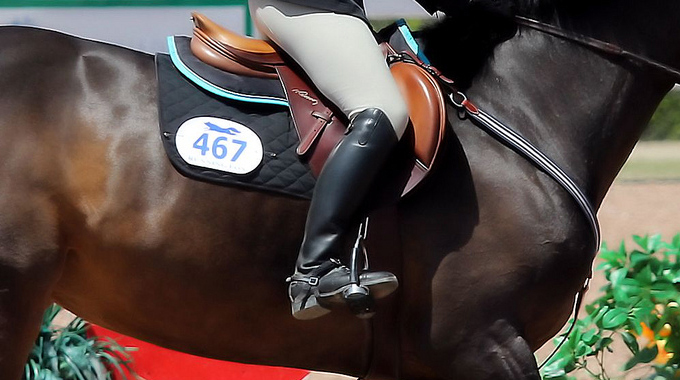 It keeps me using both sides of my body equally and improves my horse’s straightness. Maybe best of all it keeps us from going into autopilot mode where we are both likely to fall into our most comfy, but probably not most productive habits. I wish you the best in your riding. Feel free to email me with questions or even better to let me know that the suggestions helped!